What is paprika de la Vera La Dalia? How is made De la Vela parika La Dalia? 1. What is paprika de la Vera La Dalia? 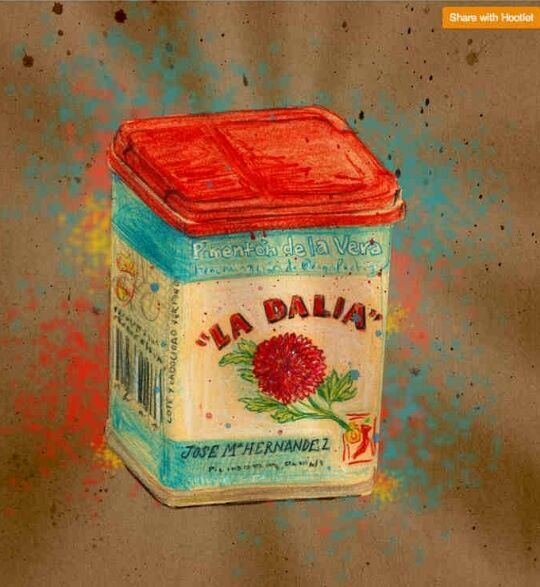 The La Dalia paprika de la Vera is a product extent around world and depending on the area, we can call it in many different ways: 'ají', 'colour ají', 'chile', 'red pepper', 'paprika', 'morrón pepper'. With a red colour and characteristic flavour, it’s a condiment got from the drying and milled of specific varieties of red peppers. Essential ingredient in multiple dishes such as paella, season potatoes, Galician octopus, spicy potatoes or chorizo. For people from Canary Islands, as part of their nutrition and gastronomy, it is a fundamental product. 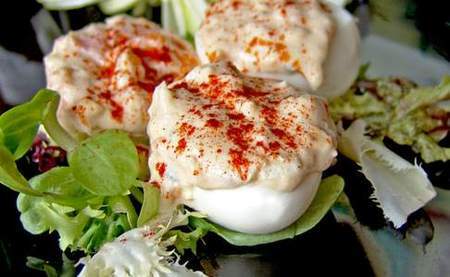 Also in others cultures like hungarian the paprika is a well-known and used unceasingly. Currently, India and China are the leading exporters of this product. Thanks to the progress in genetic manipulation, varieties of orange, yellow and whitish colour are achieved. De la Vera paprika is distinguished from any other red pepper variety around the world because of the unique smoky aroma given off due to the drying process by smoke oak or holm oak during the months of October and November. - Paprika, milled condiment with red colour, also known by ‘colour ají’. - Sweet paprika, also know by chili, red pepper, cayenne, paprika or morrón pepper, coming from the Capsicum annuum plant. 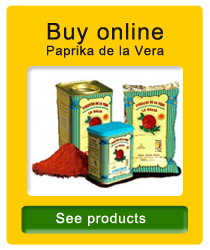 - Paprika from Murcia, coming from ‘Bola’ red pepper variety and with certificate of origin. - De la Vera paprika, coming from Ocales, Jaranda, Jariza, Jeromín and Bola red peppers variety, with certificate of origin. 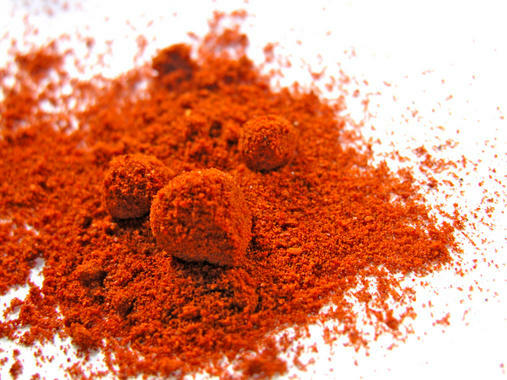 Sweet paprika: characteristic taste without being spicy. Hot paprika (or cayenne): characteristic flavor and, more or less, but is spicy. Sweet and sour paprika: Coming from the jariza variety, Jaraíz de la Vera (Cáceres), where it is grown. With the mix of both precedents you can get a sweet and sour paprika variety. De la Vera Paprika is a very unique product from the north of Cáceres, whose fame transcends borders. It is a product appreciated by the most demanding palates around the world. Sheltered by one of the most aged family enterprises around the region and with more than hundred years into the market. In 1913, Valeriano Hernández, son of a policeman, he was setting into the paprika business. An entrepreneur who started buying paprika to the farmers that at that time they grinded in traditional mills. In 1916, he was awarded with the gold medal at the International Exhibition of Barcelona for its spicy paprika. So it was when he decided to seek a brand and no doubt at all, he called it 'Dalia' (dahlia in Spanish), a name that dates back to the origin of the family: Valeriano Hernandez asked his wife to marry him with a dahlia. In 1920, Valeriano established the first paprika factory, one of the first in the region. Since then this paprika has become a way of life for the family. Year in, year out, the paprika is dried to wood smoke and carried to the factory where is grinded and packed. And every year this knowledge is transferred from parents to children. In the 50s the paprika reaches the tables of the Philippines, Argentina and England. An expansion in which the descendants have continued to work. 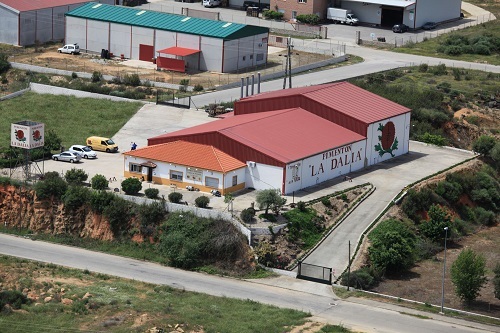 Nowadays, La Dalia export to 20-25 countries around the world, in four continents. 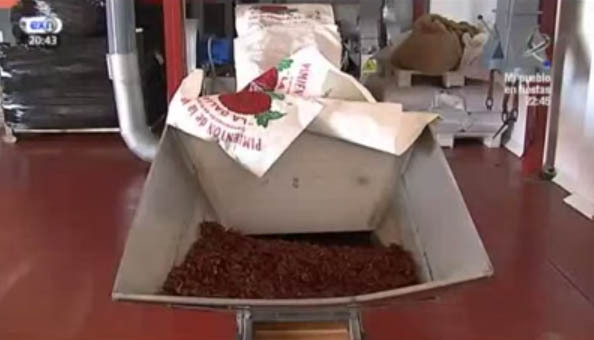 Over the years, this paprika factory has changed location and has adapted to the times, but the paprika continue to be made with traditionals methods. They still work with the same mills that once they took on in the 20s, they have only changed the system to update it at the new times. With a lot of care, from more than four generations they have been working with paprika to carry out the traditional smoke taste from La Vera till the tables of half a world. 5. How is made De la Vela parika La Dalia? De la Vera paprika La Dalia is made by an exceptional process, different from any other. Carefully selected, the paprika is take into the process of traditional drying of la Vera. For the perfect dehydration of the red pepper, home of oak wood or holm oak provides the necessary heat. The process is taken between ten and fifteen days, in which the experts turn around the red peppers till get the perfect drying. This traditional dried system is necessary to let the paprika acquired three essential characteristics: aroma, flavor and color stability. Three reasons because of this paprika is unique around the world. The next step is to bring the dried red peppers to the industries in which the stalk and part of the seeds will be removed. Before being transferred, the red peppers are grinded in the traditional stone mills (previously managed by hand), today conducted by electricity. 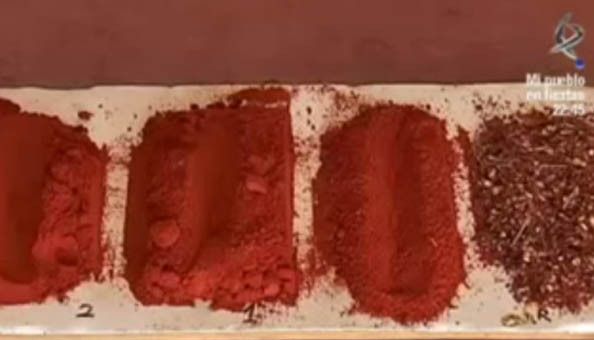 During the grind process, special attention should be given to the temperature that the product could reach, to be sure on getting a red dust, fine and uniform, with a unique quality: De la Vera paprika. The last (but not least) step is packed, depending on the destiny, it will be packed in bags or tins for the direct consum, and in sacks for the pork industry. De la Vera paprika is made in La Vera, region of Cáceres. Specifically, in the municipalities of Cuacos de Yuste, Jaraiz de la Vera, Aldeanueva de la Vera, Jarandilla de la Vera, Losar de la Vera and Madrigal de la Vera. The headquarters of the Regulatory Council of the Designation of Origin is in Jaraiz de la Vera. 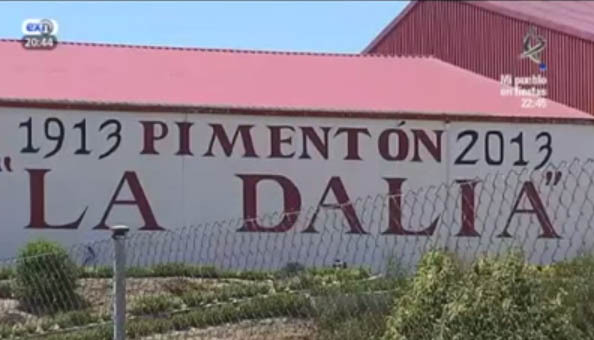 In 1989 the creation of the Regulatory Commission of the Designation of Origin “Pimentón de La Vera”(De la Vera paprika), in Extremadura, was established with the aim for studying the viability to protect it and continue with the quality offered in the earlier years. When the appointed Commission considered that the product had the required characteristics for the Designation of Quality, a favorable report was done and the project was drafted, approving the regulations of the Designation of Quality in January 1991. In 1998 the Designation of Origin was approved. The regulation defined the De la Vera paprika like "product obtained by grinding dried fruit of the genus Capsicum and Cerasiforme type or Longum, fully mature, free from attacks by fungi and insects, with the characteristic color of the variety, collected with dry matter superior than 15% and dehydrated with smoke, by the traditional system of La Vera". In Jaraíz de la Vera, belonging to the region of La Vera, there is a museum dedicated to this condiment. It is called “Museo del Pimentón” (Paprika museum), settled in Plaza Mayor of Jaraíz de la Vera. It is about one of the ten Identity museums that Extremadura owns. The paprika museum of Jaraíz de la Vera, Cáceres, Spain, has the basic aim of expand and promote the knowledge about the paprika and red pepper raised in the region. Visiting this museum it is posible to know how the production is, how and whay the designation of origin was settled, the process of growing, harvesting and drying. The tools and methods to mil it and get this "red gold". Even if it is not mentioned between the main ingredients in the mediterranean diet, the paprika is one of the basics in this diet. Moreover, this product can to double the functioning of the endogenous antioxidant systems of the organism, the De La Vera paprika activates enzymes responsible for 'detoxify' the body. The process of drying paprika de La Vera La Dalia, oak firewood, gives an antioxidant that neutralizes free radicals. All types of paprika help regulate cholesterol and triglycerides. Several studies have shown that two or three paprika tablespoons per week protect against oxidizing agents such as air pollution can be. This discovery shows that the frontier red gold produced since the sixteenth century Jeronimos Monastery of Yuste monks, offers some health benefits "as paprika has no other world". Already in the sixteenth century paprika it was among the ingredients of our ancestors kitchens. Pepper, so as Columbus called the existence of a new species around the year 1493. In 1892, it was described as a staple ingredient in the culinary environment, as well as it may be the oil or salt, especially for inhabitants of Castilla la Vieja. The two variants most renowned (and not without reason) in Spain come from the region of La Vera. Caceres, introduced since the sixteenth century by monks Jeronimos from the Monastery of Yuste, and paprika from Murcia, also introduced by monks Jeronimos of La Ñora (small town of Murcia), both with designation of origin. The paprika is a spice easy to find in any supermarket, grocery store or on the Internet, and it is often marketed in metal cans with appropriate sealing cap to preserve its aroma and preservation of humidity. De la Vera paprika La Dalia is packed with a characteristic design to give the traditional feel missed in our kitchen. 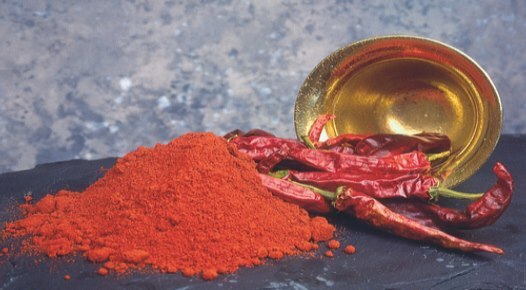 The first crop of paprika, at that time better known as chili, were made in various parts of South America, considered as the center of origin of paprika. Specifically, Peru and Mexico were the places where the first peppers were grown. Christopher Columbus was the one who brought it back to its discovery in 1943, spreading to other countries in Europe, Asia and Africa during the sixteenth century. 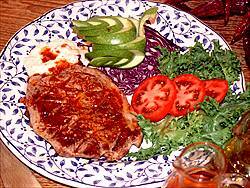 Among the indigenous population paprika was a staple and its culinary uses were very different, even the upper classes used it. Paprika cultivation reached high levels in the Napoleonic era. However, their development was held back because of the World War I and II. In Hungary this spice is also made and it is very used in the dishes of this country. In fact, one of the most typical ingredients. 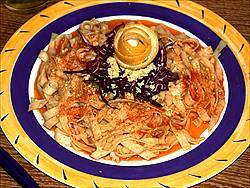 The gulash, the national dish, is a clear example. Depending on the region, typical varieties are used. The pepper is classified by size and by its flavor, sweet or spicy. The variety Capsicum annuum is predominant in Europe, though not the only one. Another of the most common well-known is Jalapeño Peppers, grown mostly in Latin America. - Sweets: raw, whole or sliced in salads or cooked, either green or purple, as are eaten ripe. The best-known varieties Valenciano pepper, the Muzzle or Bonnet, Early from Valencia, Square of America, Del Pico, of Glass, Yellow and Green from Mallorca, Najerano, Largo de Reus or Torroella Grande, Morro de Vaca and Cornicabra among others. - Spicy: The pungency is caused by an alkaloid called capsaicin. Consumed raw or pickled and as a condiment in the form of paprika. The most popular varieties are chilli, peppers from Cornezuelo, from Cerecilla or India, Cayenne Red, Spicy Yellow, Red long, the Padron or Ñora. Spain is not only dedicated to the cultivation of peppers. In Italy, the type of pepper 'long Lamuyo' is grown in greenhouses in Sicily and the south of Rome and the Tyrrhenian Sea, this area also grown the type 'Italian' and 'yellow California'. Turkey, another major producer, has two major producing areas, both in Anatolia and the Mediterranean Sea. In Antalya varieties are grown under greenhouses and the are Turkish types, yellowish green color. In Izmir, are grown the Italian types. 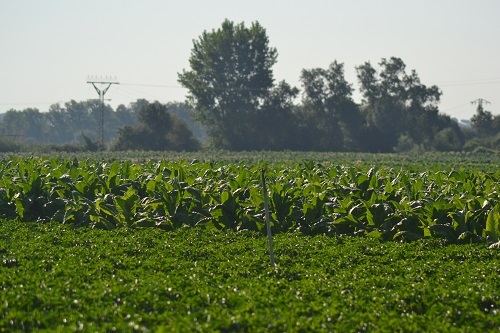 Pepper production in North America, is expanding throughout the year. In the US the main types of peppers are grown in Bell or California Wonder, Pepper or Morrón de Conserva, Roumanian Sweet, Anaheim, Wide, Caloro, Jalapeño, Cayenne, Sweet Cherry, Serrano and Tabasco in greater proportion. In Mexico the main types of peppers or 'chilis' are Jalapeño, Serrano, Ancho, Mulato, Pasilla, Bravo, Piquín, Chiltepín, Miscellaneous (dry), Habanero, Apple, Bell and others. In Dutch the predominant is the red pepper square. - Half a teaspoon of paprika. - 1 pinch of black pepper. - 1 tablespoon of butter. Cut the fillets in half (optional make a slit through), and spent over high heat in a skillet with a few drops of oil. In a pot, we mash the garlic, pepper, paprika and water them with lemon juice and two tablespoons oil. Paint fillets with this sauce and remove from heat. In a small saucepan heat the butter add the tablespoon of flour, we pour the cream until slightly thickened. We put the fillets in a baking dish, partially covered with cream and finished preparing in the oven. Boil the pasta in the traditional manner and booked into the wringer. In a big pan we chop up the garlic into thin slices and brown them in olive oil. Once browned, sprinkle with paprika and add the previously cooked pasta, trying to prevent sticking. Serve not very warm. - Half a kilo of cooked octopus. - 300 g of raw prawns. - 200 g of raw shrimp. - 2 garlic cloves, olive oil and salt. We heat a tablespoon of olive oil and when it is hot add the garlic until it become lightly browned, then add the prawns and shrimp already peeled and give them a few laps until they take color. We add the octopus and the anglerfish tail previously cooked in salted water and move away quickly from the fire. Season it with salt, olive oil and paprika and our dish is ready. Boil the eggs and peel them. Split in half and remove the yellow part. Besides, in a small saucepan, mix the wedge of cheese with a glass of cream. Add strips of salmon when cheese is melted and chop the remaining egg seasoned with De la Vera paprika. Fill the eggs and serve not very cold. 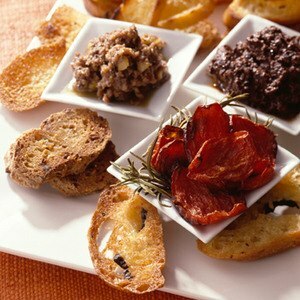 - De la Vera Paprika "La Dalia"
We heat it in a pan a couple of tablespoons of oil with a clove of minced garlic. Pour a few glasses of water (more than double that of rice) and a pinch of salt. When boiling, add the rice. 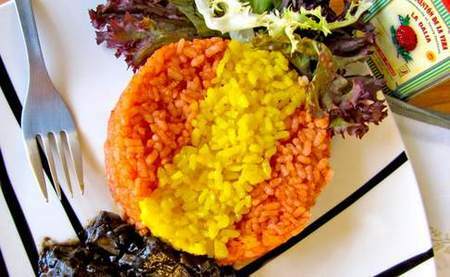 By the time the water is almost evaporated, remove more than half the rice and to the rest, add the coloring food spice. In a pan with oil we add two cloves of garlic and plenty of De la Vera paprika "Dalia", add the rice without coloring until it takes color. We serve forming the flag with the two types of rice with the squid.